Mr. McCain, what are your views of the Constitution exactly? Q: A recent poll found that 55 percent of Americans believe the U.S. Constitution establishes a Christian nation. What do you think? More than 60 people were injured and dozens of vehicles set ablaze in eastern India when an angry mob demonstrated after a radio host made derogatory comments about the winner of the popular television show “Indian Idol,” officials said Saturday. 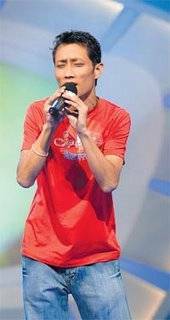 The violence broke out Friday when supporters of Prashant Tamang, the recent winner of the TV singing competition, took to the streets of Siliguri, a town in the eastern state of West Bengal, to protest what they perceived as a radio show host’s ethnic slur against Tamang, said state police official R.J.S. Nalwa. 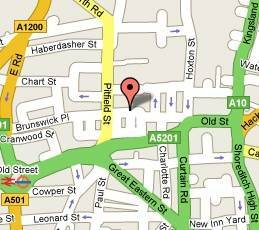 Tamang is an Indian citizen of Nepalese origin. I’m not going to even pretend I have a clue about all the ethnic stereotypes in India. I know us gujus are supposed to be cheap and my mom always tells me South Indians are smart because they eat fish That is basically where my knowledge of Indian stereotypes ends. Now that I have a Nepali sister-in-law though, this particular stereotype is something I wanted to understand better. The Himalayan Project, consisting of the duo Chee Malabar and Raymond “Rainman” Lie (see some previous posts here, here, here, and here) recently released their third album, titled Broken World. 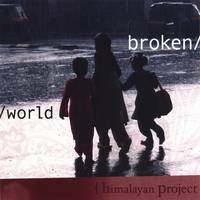 Himalayan Project’s third studio album, Broken World, is finally available for audible consumption!… The crew would like to thank everyone who’s waited patiently for this labor of love to get done, you won’t be disappointed. For those of you who would prefer do legally download your copy, hang tight, it should be a couple weeks tops before it gets to your favorite digital distributor. Following upon the stunning artistic and commercial success of “The Last Legion” (1, 2, UB40), co-stars Sir Ben and Aishwarya Rai Bachchan have agreed to team up again, this time as Shah Jahan and Mumtaz Mahal. 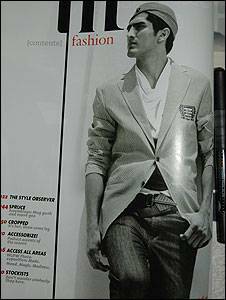 Colin Firth is rumored to be considering the role of Aurangzeb . Nine-year old me promptly burst in to tears. Later, my mother came to my room and helped me match a v-neck sweater from my old Catholic school uniform with a pleated skirt I usually wore to churchâ€”i.e. one which went to the middle of my knee. She unpacked a box in my closet and wordlessly handed me my toy pom-poms. My six-year old sister glared at her indignantly, so Mom rolled her eyes and did the same for her. I was so excited. Finally, a â€œcoolâ€ costume, one which didnâ€™t involve an uncomfortable, weird-looking plastic mask to secure with an elastic band, from a pre-packaged ensemble. I went to sleep feeling giddy. The next morning, for the first time ever, I was tardy for school. I donâ€™t remember why, but I was. When I walked in to class just before recess, everyone froze and stared at me. The hopeful smile on my face dissolved; this year, the popular girls were all babies in cutesy pajamas with pacifiers around their necks. I thought the weirdness in the air was due to my lame costume, but within a few minutes I discovered it was caused by something else entirely. The moment the bell rang, my desk was surrounded. This couldnâ€™t be good. Was I going to get locked in a closet or a bathroom again? The questions assaulted me one after the other. I was baffled. "Whyâ€¦wouldâ€¦Mrs. Doyle say that?â€ I stammered. At the end of the last sentence, the boy speaking gestured towards me. When did they get so enlightened? Last week, they asked if I was Cherokee and said â€œHowâ€ whenever I walked by, or pantomimed yowling war cries with their hands and mouth. They got impatient and vaguely hostile. I put my head down on my desk, as if we were playing â€œheads up, seven upâ€. And with that they walked off, to do whatever it was that popular fifth-graders did. â€œThe Darjeeling Limitedâ€ amounts finally to a high-end, high-toned tourist adventure. I donâ€™t mean this dismissively; it would be hypocritical of me to deny the delights of luxury travel to faraway lands. And Mr. Andersonâ€™s eye for local color â€” the red-orange-yellow end of the spectrum in particular â€” is meticulous and admiring. Are people planning to stand in line for this one? I’m not; after four quirky films (and one amusing AmEx commercial), I’m bored of Wes Anderson’s whole approach to filmmaking, which I call “quirky for quirky’s sake.” It’s not that quirky is always bad; I found Noah Baumbach’s The Squid and the Whale, for instance, pretty compelling — and that was a damn quirky film. But I often feel like Wes Anderson’s approach to filmmaking is to simply think, “wouldn’t it be funny if the old Indian manservant stabbed Bill Murray with a pen-knife at this point?” And then do it, just for the excitement that comes with absurdity. And as much as I was intrigued by Anderson’s use of Waris Ahluwalia in The Life Aquatic (he’s credited in Darjeeling Limited as well), the non-speaking part in that film made the striking Ahluwalia into a sort of exotic turbaned curiosity. Ahluwalia’s role in Spike Lee’s Inside Man, though brief, was much more provocative and engaging. Even if audiences didn’t sympathize with Ahluwalia’s character as much as one would have liked, at least that role led to a meaningful reaction. It’s not all that surprising that pizza is big business in India. The product itself is similar to India’s native cuisine. Unlike Chinese and Japanese, Indians eat leavened bread (naan), and a popular traditional version slathers it in butter and garlic – not unlike garlic bread, the most often ordered side dish at both Domino’s and Pizza Hut franchises in India. Cheese (paneer) is ubiquitous in India’s northern cuisine. Tomatoes and all kinds of sauces are prevalent everywhere. Combine these ingredients into one gooey, oily, tasty dish that you can eat with your hands – as Indians traditionally do – and you have a hit. First of all, I don’t think 80% of Indians are vegetarians in the absolute sense (i.e., no fish), probably not even close. (I remember seeing someone pose 50-60% and falling in a comment thread some time ago). Secondly, mozzarella cheese is like paneer? And: “A gooey, oily, tasty dish” that Indians like, because they eat with their hands? The author is on thin ice with some of this stuff. Instead of coming up with these questionable sociological stereotypes, she could just as easily speculate that pizza is popular in India because it’s new, and different from what people are used to/bored with. On Monday Rahul Gandhi became Congress General Secretary and consequently a likely future candidate for Prime Minister. At 37 he is the same age as his Rajiv Gandhi was when Rajiv first started his political career. If Rahul succeeds in becoming Prime Minister, that would make him the fourth generation from his family to have held the top leadership post, something I believe would be a record for any democracy. India’s obviously not the only country with a political dynasty. The United States has two examples where a father and son held the Presidency in over 200 years: John Adams (2) and John Quincy Adams (6); George H.W. Bush (41) and George W. Bush (43). There are other dynasties in the American Congress or in various governors’ offices. Just off the top of my head I know there were two generations of Gores, two generations of Dodds, and three generations of Kennedys in Congress (although more than three Kennedys in those generations). Outside the US, Pakistan has two generations of Bhuttos, Bangladesh had Rahman and Sheikh Hasina, and Indonesia has had Sukarno and Sukarnoputri. I’m sure there are others. Still, we’re talking about 3 generations of Gandhis as PM in a mere 40 years, and the possibility of a fourth generation being raised within 60 years. It reflects quite poorly on the quality of India’s institutions. What does it say that Congress thinks Rahul will give it an advantage in the next elections, despite his poor political showing in UP where he got schooled by the BSP? Burma is in the midst of its largest protests against the military junta since 1988, when the government crushed the pro-democracy movement by killing at least 3,000 people. The current wave of protests reached its peak on Monday, when red-clad monks led a demonstration of over 50,000 people in the capital, with protests happening in 24 other towns around the country as well. In response, the junta imposed a curfew and has shot at least two protestors who defied the orders. The only countries with real influence over Burma are its neighbors: China, India and Thailand. Neither China nor Thailand are democratic, so I hadn’t expected much from them, but I have been really disappointed in India’s response. That’s right, the state run oil and gas corporation signed a deal with the Burmese government on the very same day when 50,000 demonstrators were in the streets of the capital. That sends a very clear message about which side they’re on. Here’s an in-your face interpretation of India’s actions in a political cartoon (also below the fold).